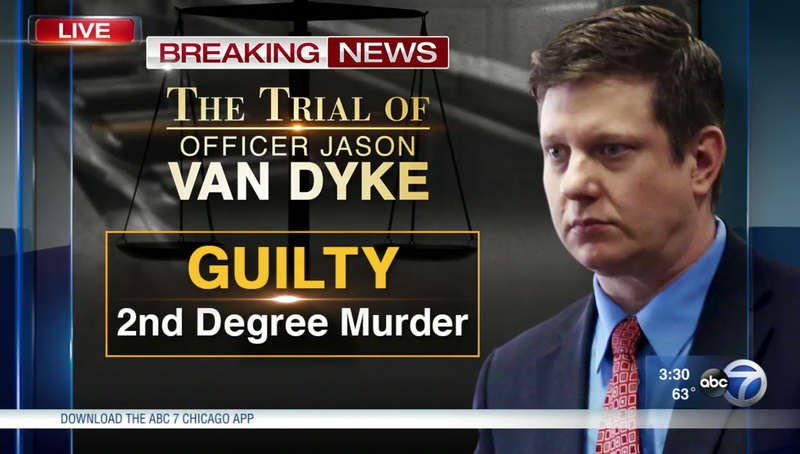 Chicago TV stations offered extended coverage of the guilty verdict of police officer Jason Van Dyke Friday, Oct. 5, 2018. 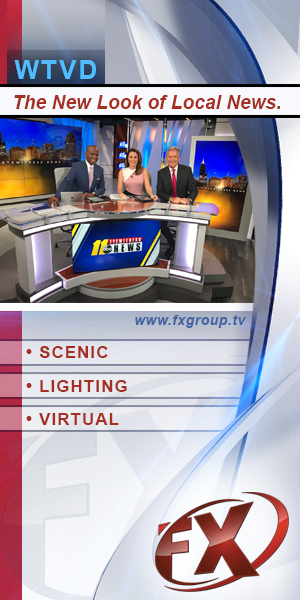 Jurors found Van Dyke guilty of second degree murder, 16 counts of aggravated battery with a firearm but not guilty of official misconduct Friday afternoon. Van Dyke shot and killed Laquan McDonald in 2014 responding to a report of McDonald’s “erratic” behavior on a Chicago street. News the verdict first came around 12:45 p.m. local time, with most local stations breaking in around that time. 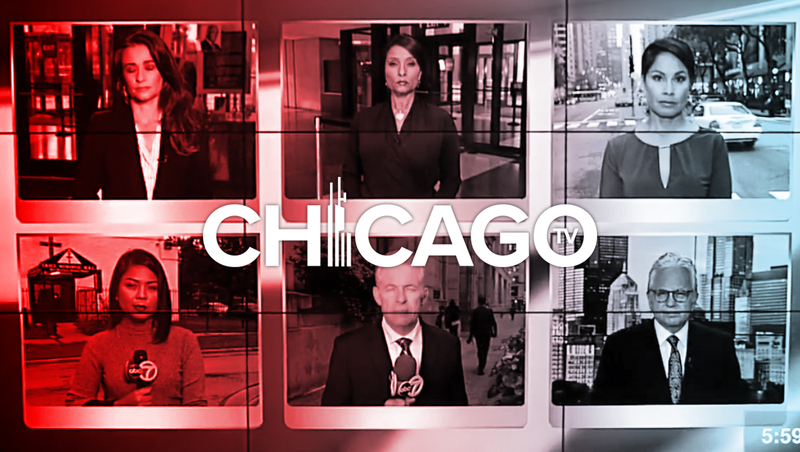 WLS, the ABC O&O in Chicago used this fullscreen graphic during a press event with jurors, who were kept off camera. 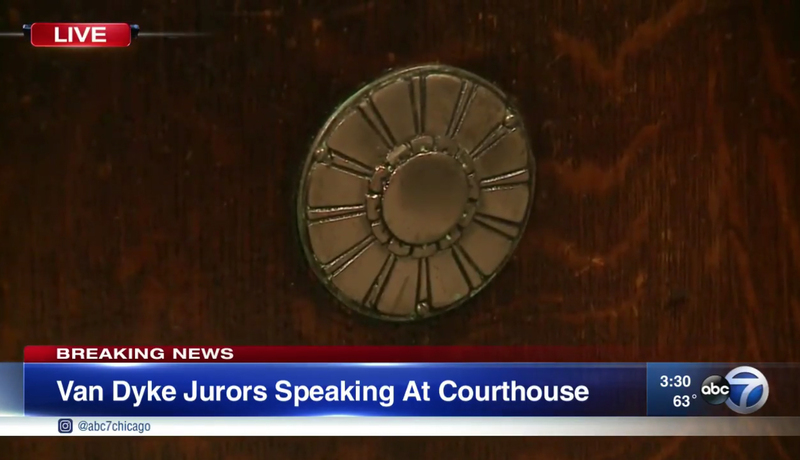 When ABC 7 wasn’t using the fullscreen graphic, viewers saw closeups of parts of the courtroom with live audio of journalists and jurors. 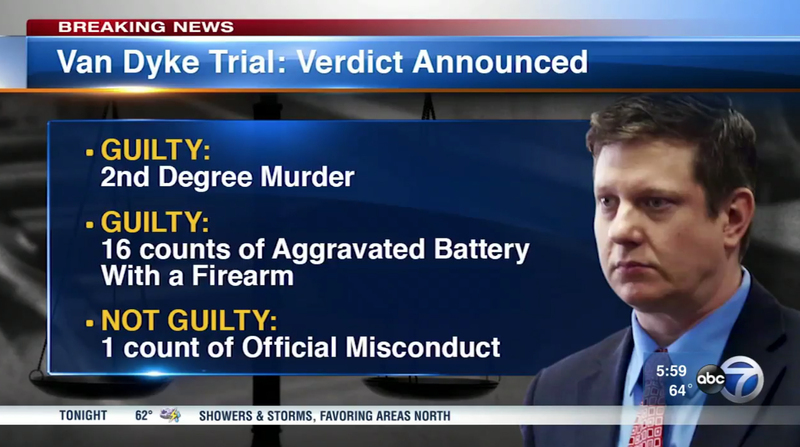 ‘ABC 7 Eyewitness News’ also used this fullscreen graphic to outline the charges and verdicts. 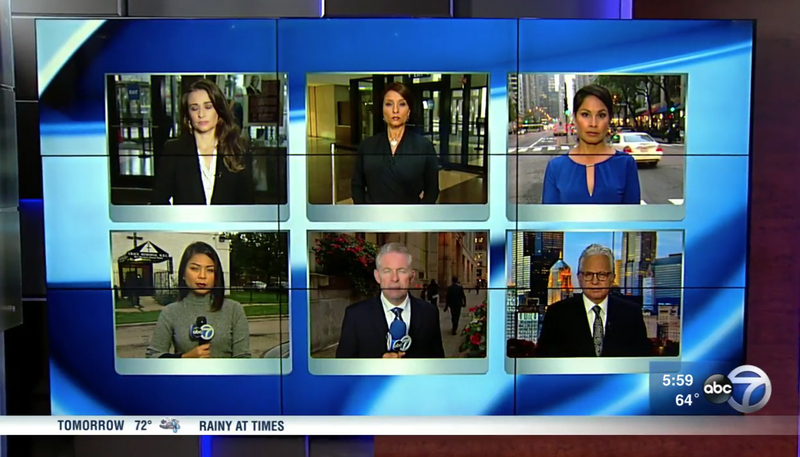 WLS also used this “video on video” approach to show a six box of its team coverage.